A note on this recipe: there is absolutely nothing good in this for you. It’s sugar. Heavy cream. Eggs. Gelatin. No matter how hard you try, convincing yourself that the detoxifying benefits of the lemon juice and zest exist at all just isn’t going to happen. That said – it’s my mom’s recipe. My parents have been making this on occasion since I was a kid. It looks impressive, is outrageously delicious, and is a perfect light dessert to end any meal. We had this for dessert last night, and with the addition of my sister Collyn’s lavender whipped cream, it was completely worth the “nothing good to be found here!” knowledge of what went into it. 1. 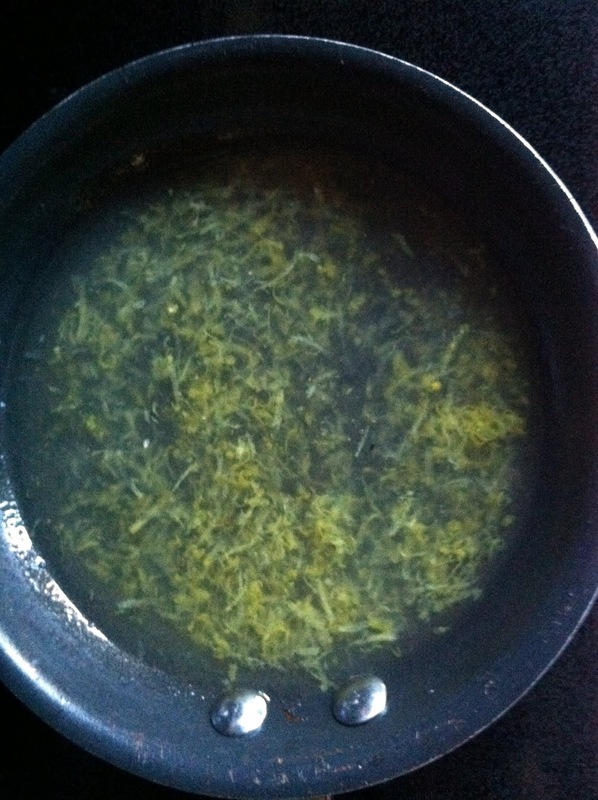 In a saucepan, combine 1/4 C. water, 1 pack gelatin, and 1/2 C. lemon juice. Warm over low heat until clarified. Remove from heat and add zest. Cool before adding to the yolks. 2. 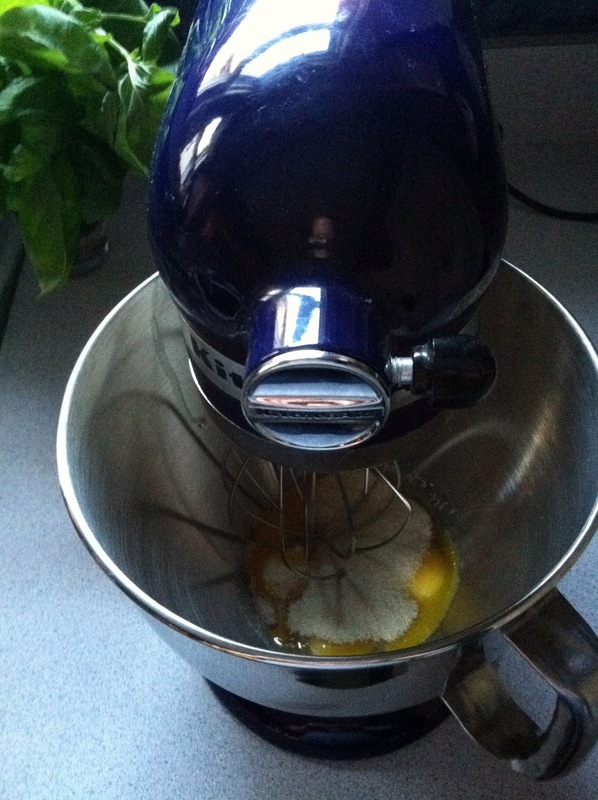 In a mixer (my KitchenAid Mixer with the whisk attachment is a lifesaver for all the mixing you’re about to do, but a hand mixer will work too), combing 4 egg yolks with 1/3 C. sugar. Mix until pale and thick. Add cooled gelatin mix (if mix is warm, it could start to cook your eggs, which is obviously bad), transfer to another bowl, and set aside. 3. 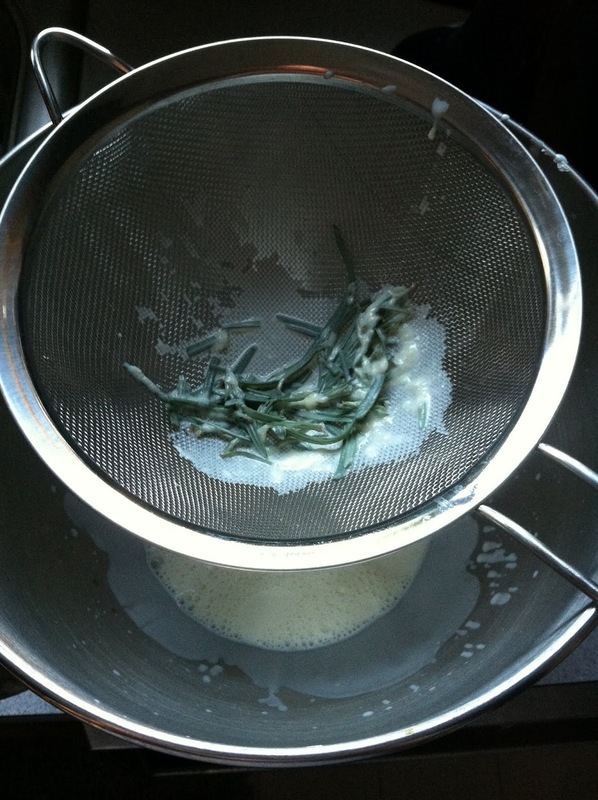 In the cleaned mixing bowl, whip eggs until foamy. 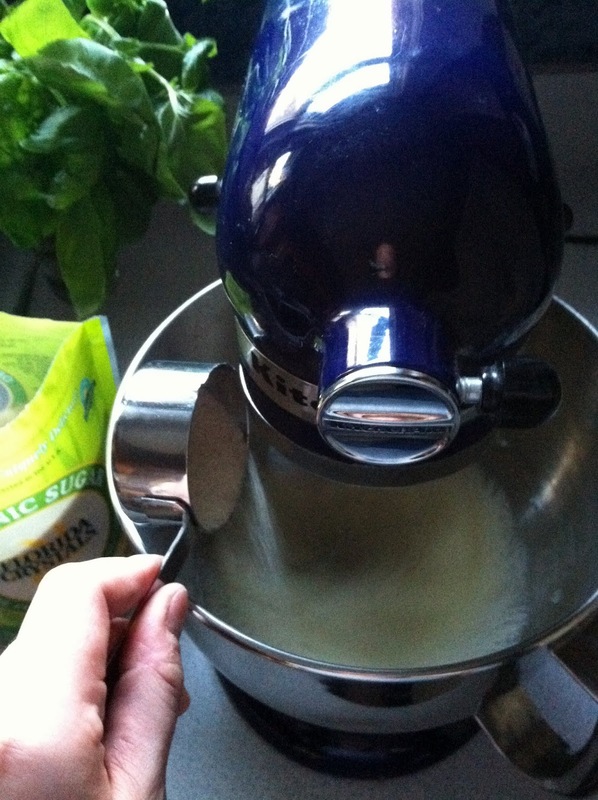 Add 1/3 C. sugar a little at a time, and whip until glossy and thick. Add some of the yolk mixture to the whites, then add all the whites to the yolks. Set aside and clean out that mixing bowl again. 5. 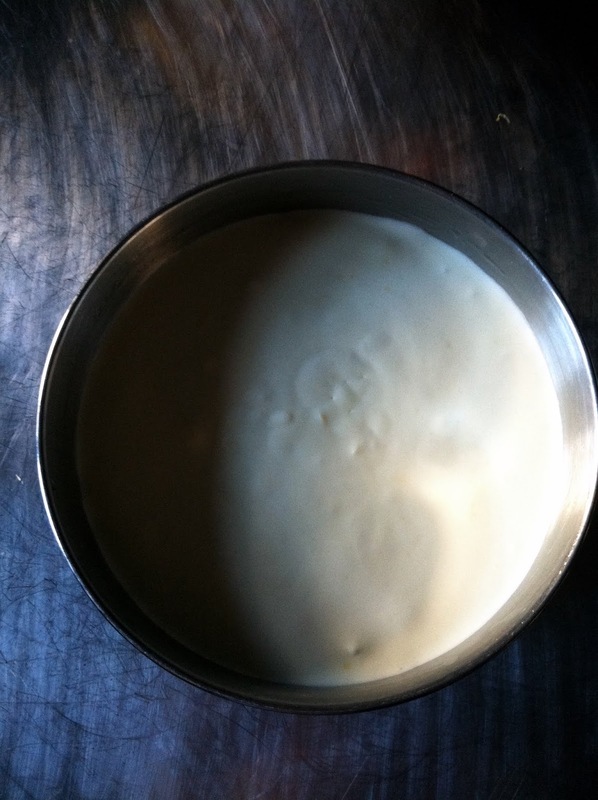 Carefully fold the heavy cream into the lemon/egg mixture with a spatula. Refrigerate for at least an hour to set the souffle. 1. 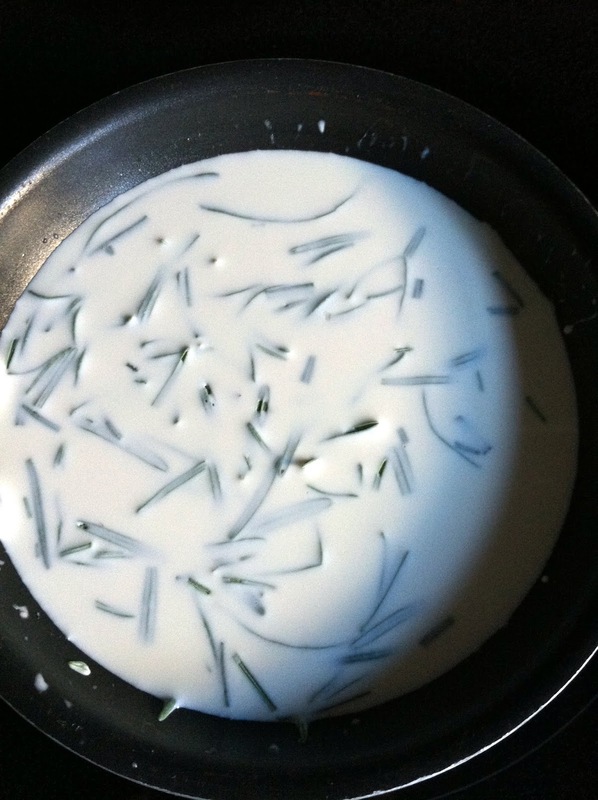 In a saucepan, combine heavy cream and chopped lavender and sage almost to a boil, then simmer. The heat will release the flavor in the lavender. Stir in confectioner’s sugar to taste – how this mix tastes now is how it’ll taste as whipped cream, so use that as your base. 2. Strain the leaves from the cream. 3. 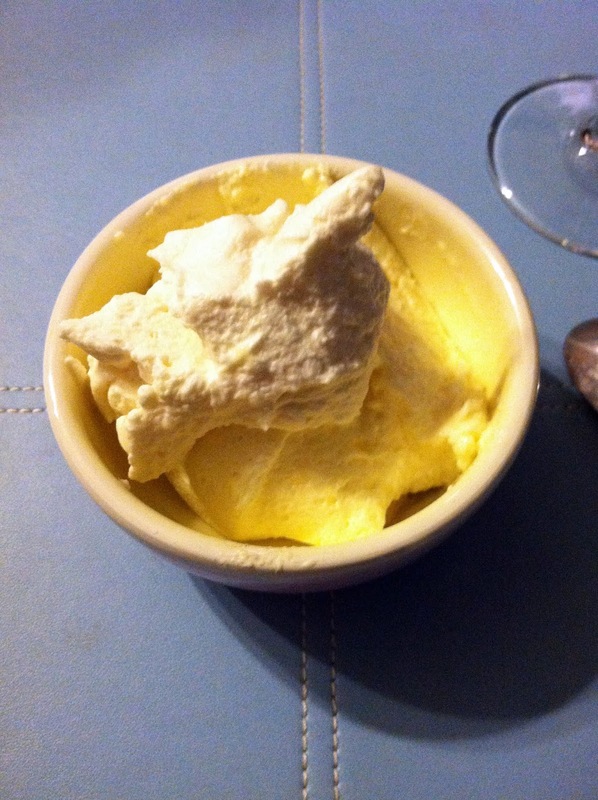 Allow cream to cool completely – refrigerate it even – it won’t whip if it’s heated. 4. 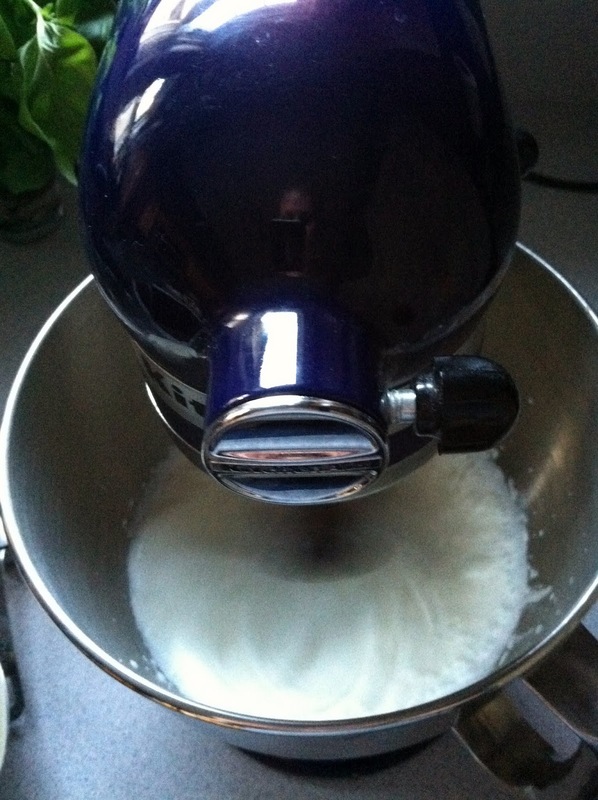 Whip the cream mixture in a KitchenAid mixer or with a hand beater until the cream is still and peaks form. 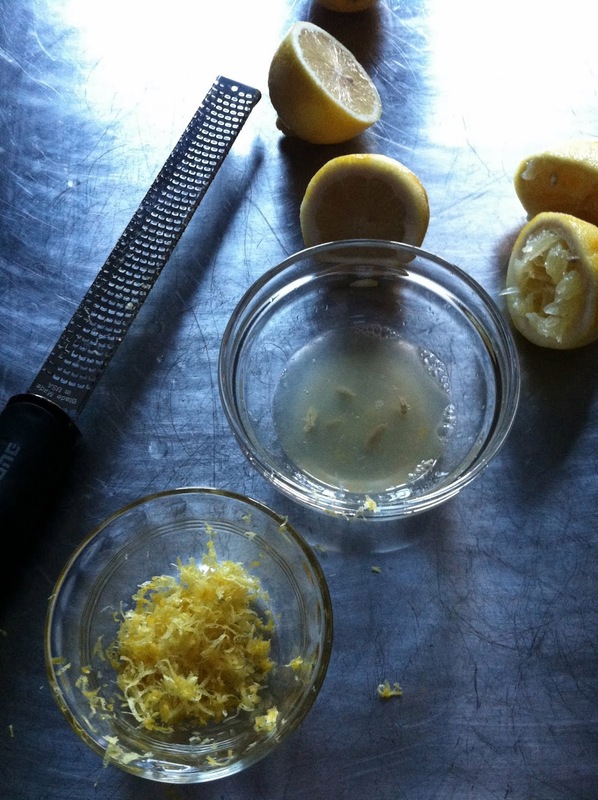 Refrigerate until use, then use as a topping for the lemon souffle. This is also terrific over fruit or for that matter – just about anything else. 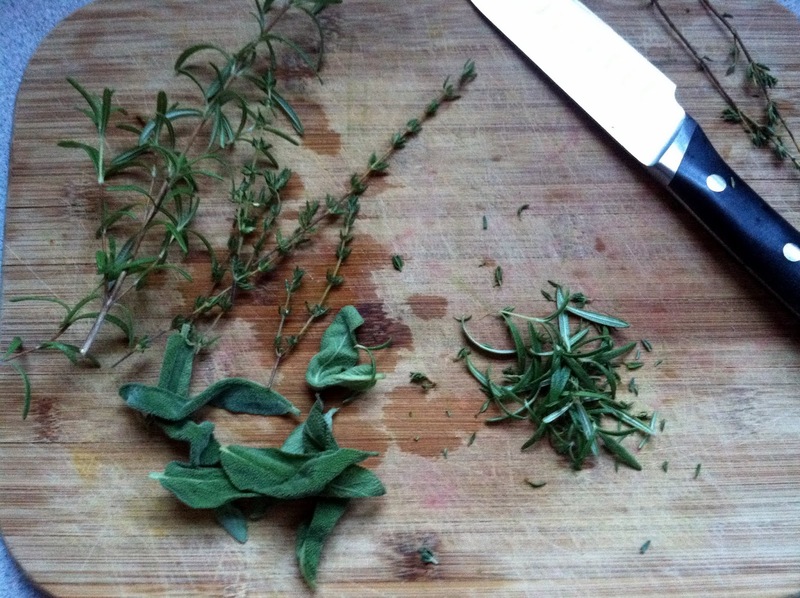 This entry was posted in lavender, sage, whipped cream on October 12, 2012 by westyn.